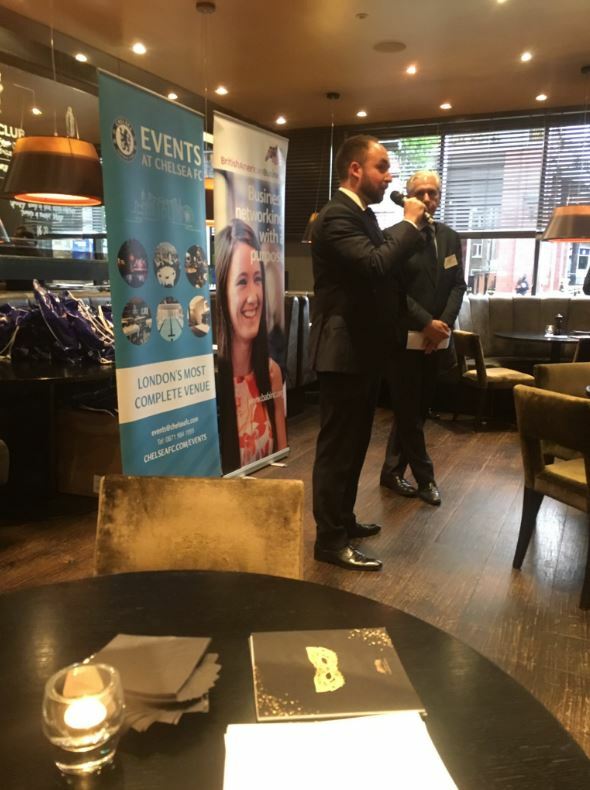 BritishAmerican Business is a transatlantic business network organisation that deliver showcase events and networking opportunities for international businesses. 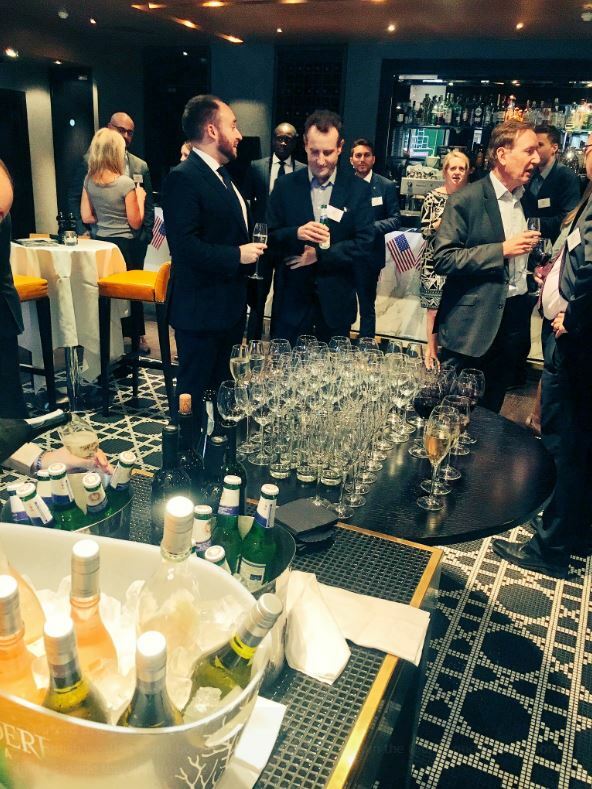 They required a unique venue in a suitable location to hold a memorable networking event for their members and guests. The BritishAmerican Business Spring Reception was planned to take place in the pop-up Summer Garden. The Summer Garden offers a wet weather contingency plan, which due to the weather on the day of the event, meant it was relocated to the Summer Garden’s adjoining restaurant, Marco Grill. The events team were able to seamlessly move the event indoors in a tight turn around. Prior to the event, the events team assisted with decorating the venue and aided with the setup of the registration table. 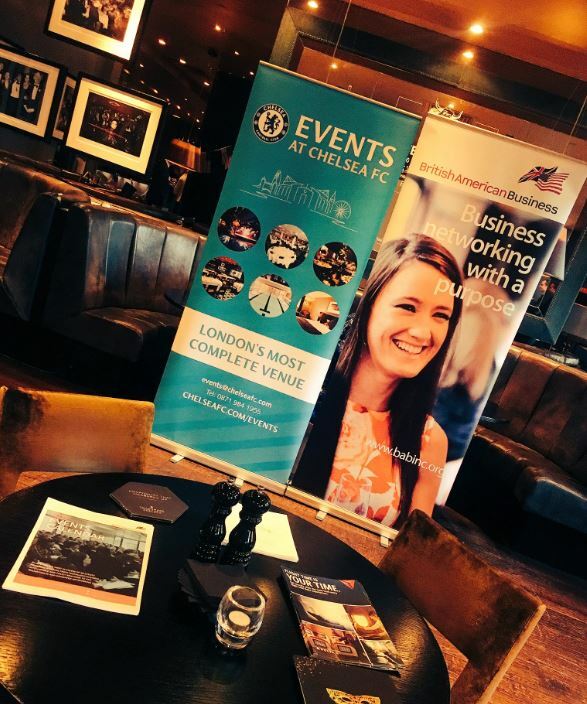 Stamford Bridge provided their own state-of-the-art AV equipment, with a team on hand to set up branding on the TV screens in Marco Grill. 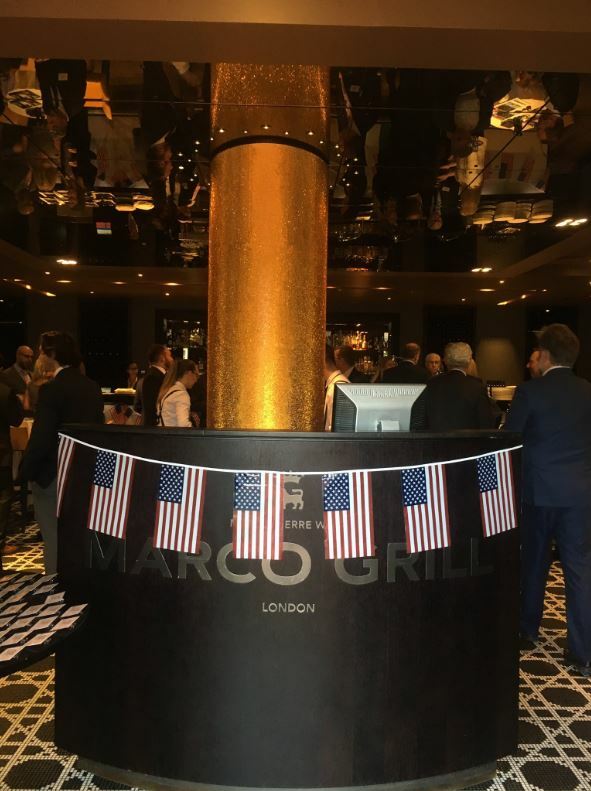 Throughout the event, a bespoke BBQ menu was served with choices including hamburgers, chicken and salads.